Nick Saban Headed Back to Cleveland? 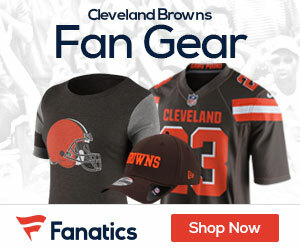 A report on Cleveland’s 92.3 The Fan on Tuesday afternoon states that the Browns will make a hard push for Alabama coach Nick Saban, even though incumbent Pat Shurmur is only in his second season with the team. Nick Saban has previous connections with the Browns and the Cleveland-area. Saban played college ball just outside of Cleveland, at Kent State, in the early 1970s and served as the Browns’ defensive coordinator from 1991 to 1994 under Bill Belichick. His last stint in the NFL was a mixed experience. While he was controversial in his dealings with the media, by no means was Saban’s 15-17 record a failure. If the Dolphins medical staff had cleared Drew Brees’ should instead of Daunte Culpepper’s knee, Saban’s talent may still be in South Beach. As Bill Cowher turned down Cleveland two years ago and Jon Gruden just signed a 5-year extension with Monday Night Football, Saban seems to be the best fit for the Browns, both professionally and personally. The question is: Will Saban want to return to the NFL? Currently, he’s one of the highest paid college football coaches, professional or collegiate, making $4 million per year. In 2008, Forbes named Saban “The Most Powerful Coach in Sports”. He already has a statue of his likeness outside of Bryant-Denny Stadium. His Alabama teams have been practically unstoppable, as he’s on pace for his third national title in four seasons. Aside from his first year in Tuscaloosa, Saban has compiled a ridiculous 54-6 record, winning an unheard of 90% of his games. Therefore it seems that they question isn’t about if he will leave, but why would Saban would ever leave his cushy seat atop the college football world for an NFL organization that seems to be in constant flux. There seem to be two main reasons why Nick Saban could make his return to the NFL. He would return for the challenge and because of new Browns owner Jimmy Haslem. The Challenge: Men like Saban are never satisfied with their current level of success. Saban is cut from the same cloth as Rick Pitino and Pete Carroll, who left powerhouses Kentucky and USC, respectively, for higher aspirations in the professional world. Saban’s aim will always be higher and higher as he seems to thrive from the rebuilding of a once proud program. Simply put, college football has become too easy for him; it seems almost boring for the 3-time national champion. Saban’s ego may be calling him to right the country’s mind about his ability to coach in the NFL. Jimmy Haslem: It has quickly become clear that Jimmy Haslem knows what he’s doing. He wasted no time in axing the legendary Mike Holmgren. Haslem is willing to bring in top level executives and willing to spend whatever is necessary to make the Browns a contender. He can provide Saban with the infrastructure of personnel decision-makers that he didn’t have during his time in Miami and will be able to offer him a contract competitive to his 8 year, $32 million deal with Alabama. If Saban is up for the challenge, this may be his best chance at a successful return to the NFL. For updates on everything Browns related, follow Stephen on Twitter! 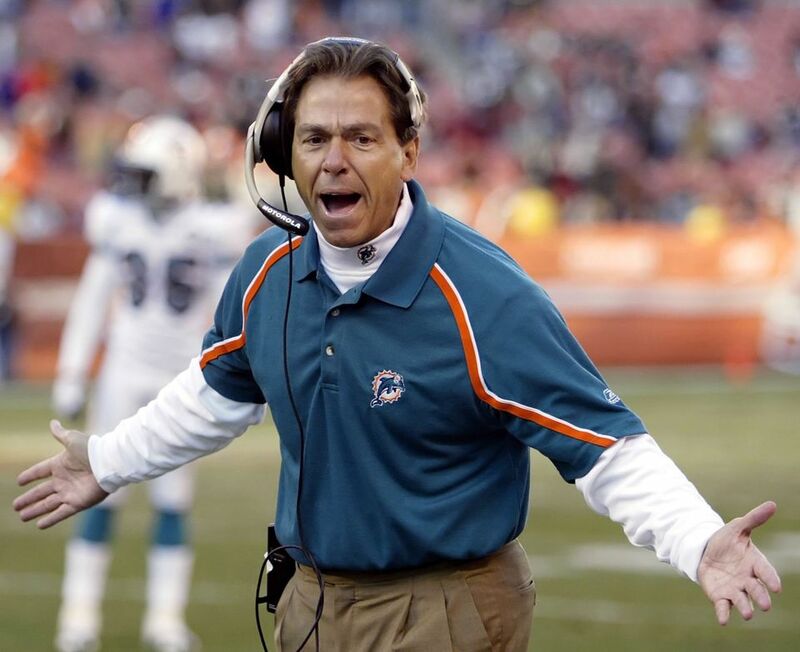 Saban has already had his fill of the Pro’s at Miami. The only way he would go would be if he had full controll of the entire program and that will never happen. He is at Bama until he decides to retire. This is intriguing. People need to remember who he had at quarterback at Miami- Gus Frerrottd, Joey Harrington and oh yea they ended up taking Culpepper over Brees. Had the medical team cleared Bress Miami had the defense to really make some noise. I know Saban is famous for abruptly bailing on teams but I’d give him a chance in Cleveland. Although let’s hope that Shurmur can be as excellent as Holmgren believed because I’m tired of coaching changes. Saban is the best option we’d have though if it comes to it as Cowher and Gruden won’t budge.